Since this year is the 150th anniversary of Alice in Wonderland, what better time than now to create a list of Alice and Wonderland-themed Stuff I Want? Alice and Wonderland has always been one of my favorite classic children’s stories, and I’ve read it at least 10 times throughout my life. I never get tired of reading about Alice’s adventures! If you need a little more Alice in your life, check out this stuff. 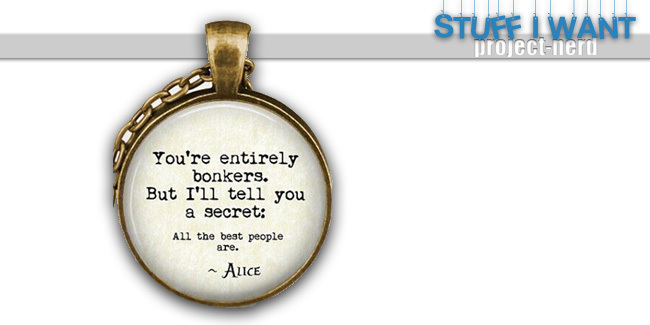 This quote necklace quotes Alice herself, who is not often quoted, strangely enough. 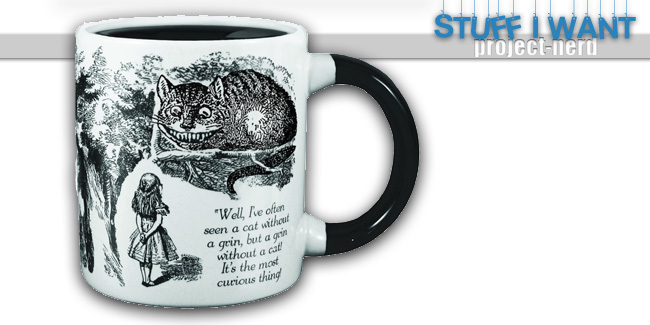 No Alice collection would be complete without a nod to our favorite literary cat. This book contains “Everything Alice” and is a collection of recipe ideas and Alice-themed crafts that is fun for all ages. The bright red cover makes it a beautiful addition to any bookshelf as well! I love the watercolor painting effect over the text on this pillow. 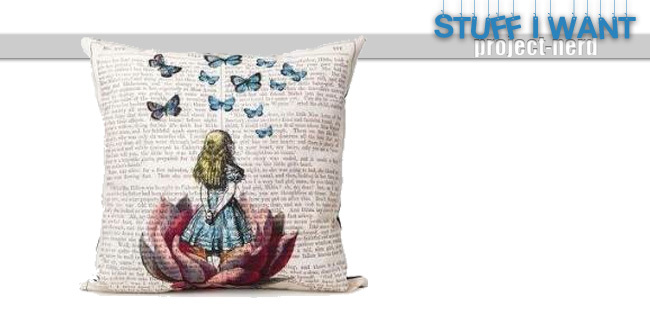 This is definitely one of my favorite book-themed home decor items! I would put it on my bed, I believe. I love subtle references to literature and geek themes. 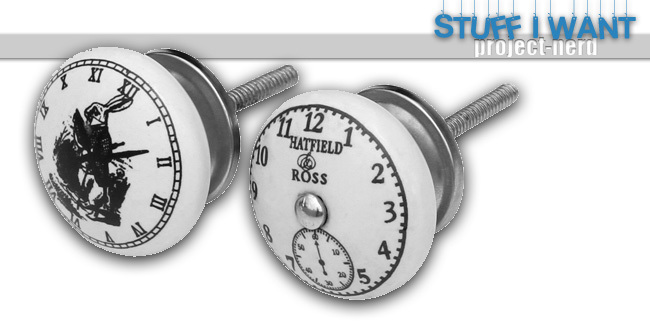 That is why I love these knobs so much! The knobs could be added to bathroom cabinets, a dresser, or even your kitchen, and only the truest fans would recognize the source material. You can celebrate your love of Alice in a more subtle, elegant way with these. 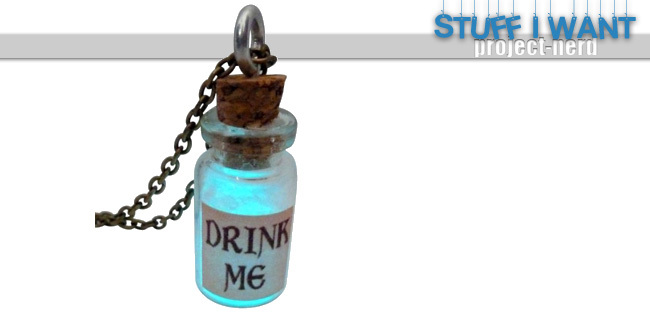 You cannot be a true Alice fan without your own “drink me” potion! This little bottle is bright blue and holds so much possibility. I don’t recommend actually drinking it though, just in case it makes you so large you destroy your house. I absolutely love the bright yellow, cherry color of this purse. 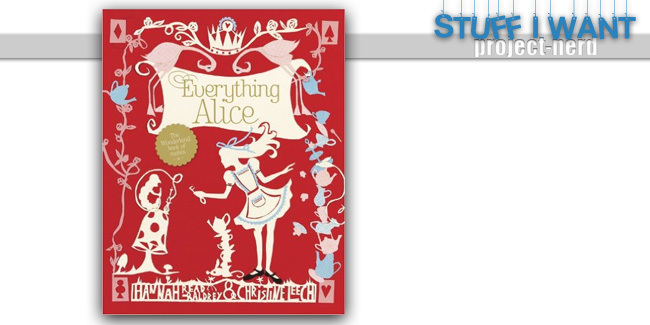 It is the perfect gift for any Alice fan! 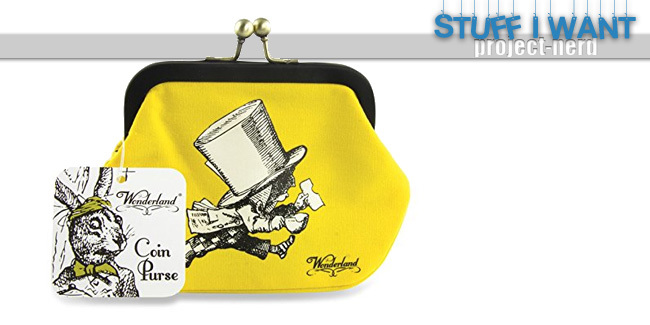 So many people are big fans of the Mad Hatter. 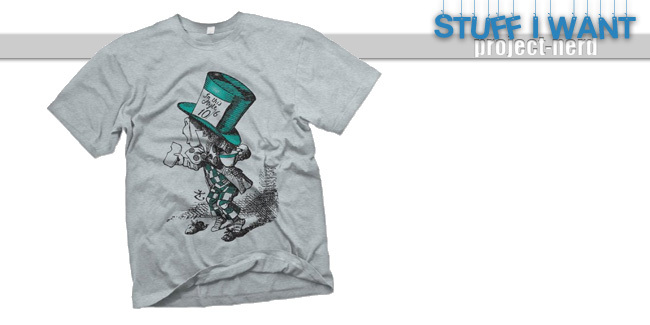 Show the world you’re the hatter’s biggest fan with this shirt! If you don’t have the funds for these items right now, share this page with your family so they know what to get you for Christmas. I did that last year, and I got so many awesome book-themed Christmas presents from family and friends.